I have an 80 ta and my passenger side door handle has the "Trans Am" name in the middle, but my drivers side is gone. 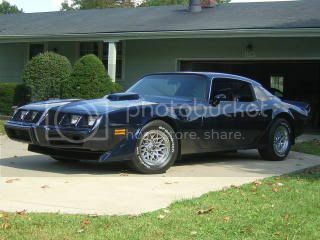 i was wondering if all trans ams came w/ these and if anyone knows a place that i can get new ones. They were aftermarket items that alot of people put on after the fact. The "door handle tape" was the only option besides the "4-wheel disc brake" that came from the factory. ohhh ok, i know i've seen the 4 wheel disc ones, but i've only seen the "trans am" ones on one other car, so most of them where usually the color of the car in the middle of the handle is what you're saying by the"door handle tape"? because i was thinking of just painting the middle w/ midnight blue to match.